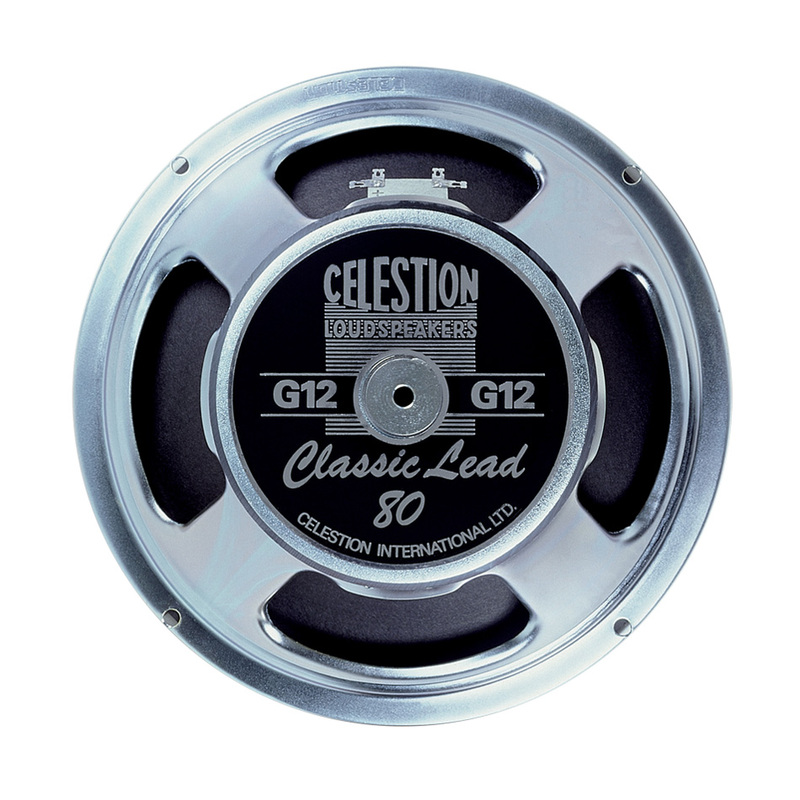 Developed in the 1980s as a natural evolution of the G12-80, the Celestion Classic Lead 80 features a traditional guitar speaker cone built together with a fibreglass voice coil and a larger dust cap, which encourages the specific cone modes that give this speaker its unique sound, combining the best of vintage and modern tones. The Classic Lead 80 speaker (referred to sometimes as the CL80) is much loved by lead guitarists for its speed, punch and articulation; with every note clearly defined, even when you’re playing with immense distortion. It also sounds great clean, with that same clarity combining with the speaker’s natural headroom to deliver an effortlessly dynamic performance.